MCC, JOC, MCC/JOC, APS MCC Which course should you choose? Home > News > MCC, JOC, MCC/JOC, APS MCC Which course should you choose? Captain Jimmy Devlin, Head of Training at Simtech Aviation, helps navigate through the abbreviations. The question for potential First Officers with regards to their Multi-Crew Coooperation (MCC) training is: which course best prepares me for airline assessment/selection and an aircraft type rating? The MCC course has been around for a number of years and it was designed to upskill the CPL/IR pilot from single pilot competency to multi crew operation where tasks and procedures in the cockpit are clearly defined and designated appropriately for the pilot flying and pilot monitoring. During the PPL/CPL training you are taught how to handle the aircraft in a safe manner and how to recover and what to do in non-normal situations such as a stall or engine failure. In larger turboprop or jet aircraft there are a number of complex aircraft systems to manage and monitor, so during a malfunction or emergency procedure it’s important that each crew member understands their role to maintain safe operation and to follow the Standard Operating Procedures (SOPs). The MCC and JOC (Jet Orientation Course) course teaches just that – how to work as a team on the flight deck and how to follow SOPs which are essential fundamentals of airline operations. This is done via 25 hours of classroom training followed by 28 hours in the simulator. For example, this training is done over 10 consecutive days at Simtech’s Dublin training facility. This is a well respected course in the industry with over 95% of our past pupils now working for airlines. A second type of MCC/JOC training has recently been introduced to the industry and that is called Airline Pilot Standard MCC, or APS MCC. APS was designed by the airlines as they saw a large percentage of low-hour pilots were failing the airline assessment/selection process, ie, they were not suitably prepared to commence an aircraft type rating. With a large requirement for pilots currently, and with the significant failure rates at assessment, the industry set about designing an airline standard pilot training course which would better prepare pilots for assessment and aircraft type rating. 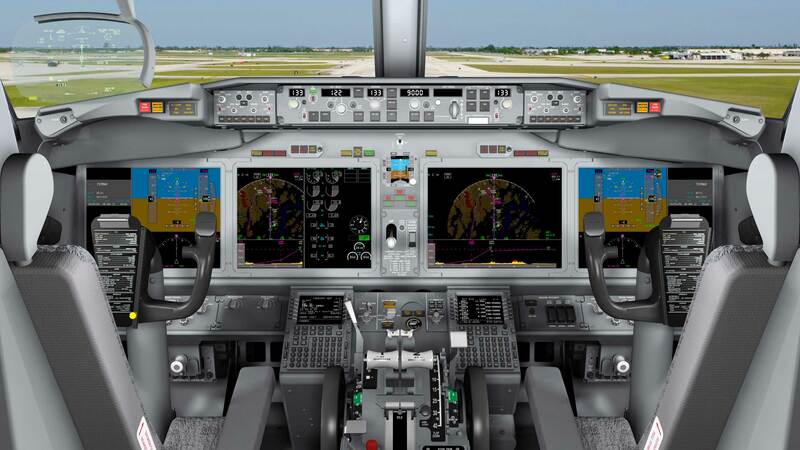 Better familiarity with the flight deck and handling characteristics prior to aircraft rating. Reduced training time and costs as the cadets have already achieved a higher training standard, before taking the type rating. In total you will have completed 40 hours versus 28 hours on an MCC/JOC course.